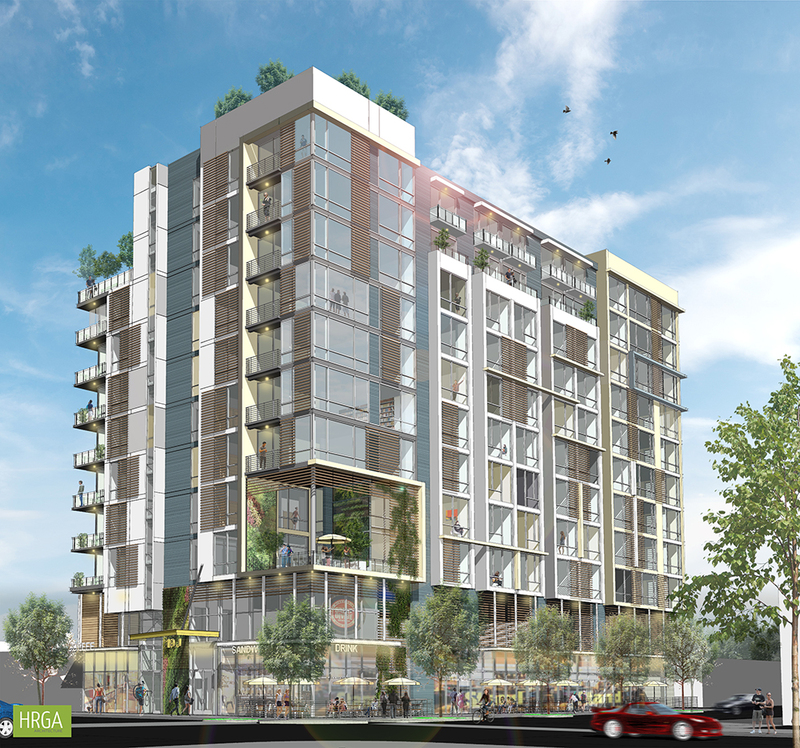 19J is an 11-story mixed-use project proposed on the vibrant J Street corridor in Midtown. Designed for millennials and young professionals that value sustainable urban living, the proposed project at the northwest corner of 19th and J Streets aims to provide innovative workforce density. The project features 173 innovatively designed, residential rental units above 7,000 square feet of ground floor retail. The “small and smart” studio design addresses the critical need for more affordable units tailored toward the young workforce in the heart of the central city. 19J provides several communal spaces for its residents to enjoy including: outdoor/indoor patios and lounges, fitness centers, a sky terrace overlooking the downtown skyline, and a 1,500 square foot rooftop garden. Affordable By Design: Rental studios range from 312 to 460 square feet with innovative design elements to provide attainable housing for the workforce.